We’re days away from the launch of Forsaken, the latest expansion for Destiny 2 that Bungie and Activision are calling, “transformative.” To make sure all the Destiny-heads are still excited, a new launch trailer has been released that delves further into the story of the expansion, shows off some of the bosses, and drops a big ol’ megaton reveal that longtime Destiny fans have been wanting for ages. It looks like the player’s Guardian has a voice again. Sure, it’s sad that Cayde is dead and all, but we’ll surely be busting into the Reef and making Uldren Sov and his Barons crew collectively pay for their crimes over and over again. But more importantly, the Guardian spoke! If the trailer isn’t enough and you’re still starved for Destiny 2 content ahead of Forsaken dropping next week on September 4, 2018, you won’t be left hanging for too long. Bungie will be dropping another Destiny 2 ViDoc later today, so stay tuned to Bungie’s social media platforms around 11 am PT /2 pm ET for that. Also, don’t forget that on September 1, 2018, Bungie is dropping a free trial of the new Gambit mode into the game for about 24 hours. 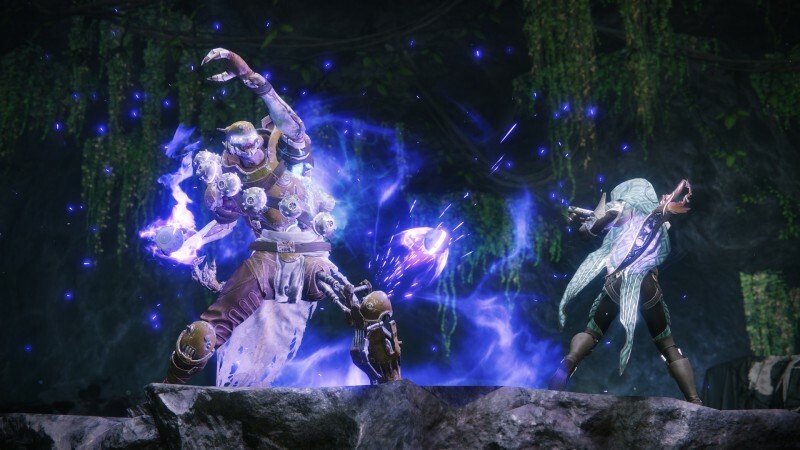 Gambit is a hybrid PvE/PvP mode meant to appeal to a full range of player types.